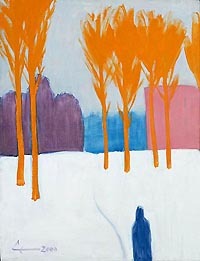 I’ve always been interested in the work of color. Although I have paid tribute to the graphic arts at the time, painting remained the main focus of my creativity. Impressionists and Post-Impressionists were always the benchmark for me. They discovered painting as a work of color. Before them, color in a painting was secondary. I divided my artwork on this web site into three parts: oil on canvas, oil on cardboard and work on paper. 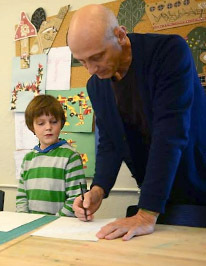 Twenty five years of teaching kids & grown-ups drawing and painting in the art studio on Baumanskaja Street resulted in writing a teaching book ‘Art School’ and some else books. The story of what later was named Baumanskaya School of Painting began here.